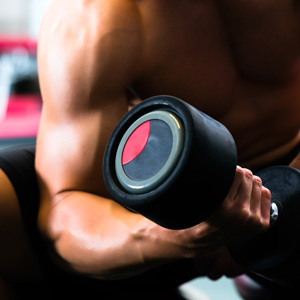 If you’re a bodybuilder or weightlifter, increasing muscle size and strength is clearly your usual priority. But when you’re prepping for a contest, photo shoot, or other main event, cutting becomes your main concern. Dieting is the only way to drop excess fat and water to display chiseled muscles. And science shows that low-carb or ketogenic diets are the easiest way to get cut, shredded, ripped, and otherwise superlean. Drop as much fat as possible while keeping as much muscle as possible. Gain all the muscle you can without gaining fat. A ketogenic diet is one of the best diets around for achieving both of these goals. But first, it’s important to understand why simply eating less food is a bad move when it comes to cutting. In the old days, “dieting” meant restricting calories. Although this approach is more effective at stripping fat than not dieting at all, starvation isn’t a good way to get shredded. When you reduce your calories too far, you’ll lose weight too quickly. Rapid weight loss almost always includes water and lean muscle tissue. While minimizing bloat is a plus when it comes to cutting, losing muscle isn’t. That’s why a traditional low-calorie diet is a poor choice for getting ripped. Even worse, once you go off this type of diet, you’ll gain back more fat than you lost, effectively undoing your training. Making it harder for you to get cut the next time around. A low-carb diet or ketogenic diet is about balancing calories, not avoiding them. Adjusting your macros for more fat and protein and less carbohydrates triggers a natural fat-loss process in your body. When you drop your carbohydrate intake to a certain level, your body doesn’t get enough glucose to keep you energized and functioning. Your liver responds by producing ketones, an alternative energy source. 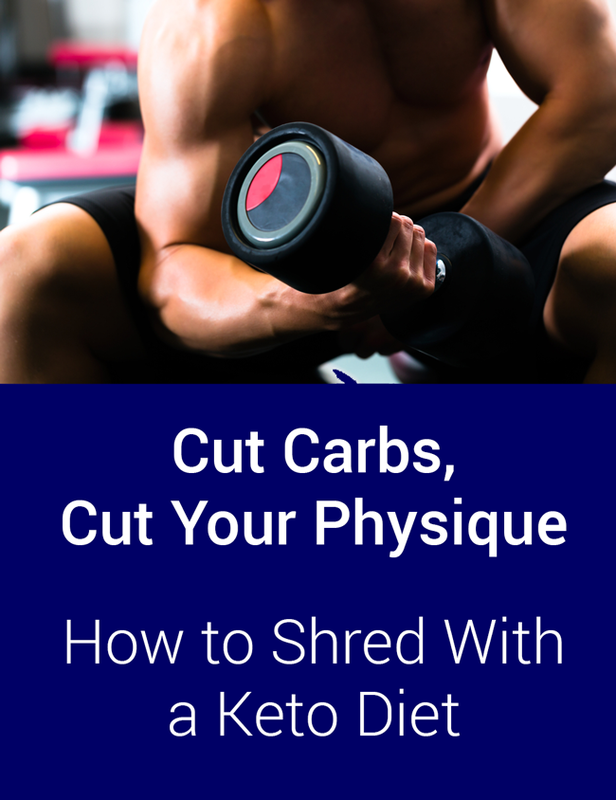 This state of using ketones instead of glucose for energy is ketosis. A ketogenic (ketone-producing) diet can benefit everyone. But bodybuilders in particular will be happy to learn that low-carb diets can reduce body fat and increase lean tissue in men of normal weight. So cutting carbs is the ideal way to get cut. Furthermore, high-fat diets are more satiating than high-carb diets. Theoretically, you can eat until you’re satisfied and still lose fat if you’re keeping your carbs to a minimum. Now, if you’ve been eating hog-wild and focusing on workouts only, you may want to adjust your calories slightly downward on your cutting regimen. Don’t be extreme; go down to a level that’s right for your body mass. Find a reliable online calorie calculator and be sure to eat every last bit of what you’re allotted. By now, you’re probably wondering if putting your body into ketosis is the same as starving yourself. Rest assured that these two approaches to dieting have little in common. When you’re on a ketogenic diet, you’re getting adequate calories through protein and fat. Your body can actually convert dietary protein into glucose. When this happens, your body doesn’t need to pull glycogen (stored glucose) from your muscles. So your muscle mass isn’t affected adversely. On the other hand, if you’re not getting enough calories, your body will digest whatever “extra” tissue it needs to stay alive. So if you’re carrying more muscle than you need to function on the most basic level, that extra muscle tissue is at risk of being lost. Now, the ketogenic diet is known for causing rapid fat loss. But note that fat loss is not the same thing as weight loss. As we mentioned, weight can be lost through water, fat, and lean tissue. Even glycogen depletion and replenishment can account for small weight fluctuations. Intermittent fasting, or IF, often comes up in discussions about ketogenic diets. That’s because both keto eating and fasting cause ketosis. Both techniques work well together to help you lose fat quickly. You can combine the two to suit your needs. For example, you might stick to a low-carb diet all the time. In fact, keeping your body fat down all the time is a much better approach than letting yourself gain weight and trying to lose it again at certain times. So by sticking to keto year-round, you’ll be one step ahead when it comes to cutting. Then, as you’re headed for those crucial times, you can start using IF to shred even more fat. You can try 5/2 or 6/1 fasting, which means you eat normally five or six days a week and fast the other day or two. You can also try daily fasting by shortening the window of time during which you eat. Most of us fast all night. That’s one reason why getting a good night’s sleep is good for keeping your weight down. Again, cyclical fasting doesn’t damage the body in the same way that long-term starvation does. A short fast helps you get into ketosis and gives your organs a rest. Strict macro management and fasting aren’t the only ways to introduce ketones to your system. Exercise also plays a role in reaching ketosis. Another option is simply to ingest ketones. But we’re not talking about the raspberry ketone you see everywhere. Compounds such as BHB salts are a favorite of bodybuilders and weightlifters. However, anyone can enjoy the clean-burning energy of ketones. If you want to get ripped for an event, you’ll have to change your diet. And a ketogenic or low-carb diet is the best way to go. By eating plenty of fat and protein and few carbohydrates, you can lose water and fat while preserving muscle. The keto diet is really your dream diet if you’re looking to get cut. Can you trust "net carbs" claims on low-carb products? Thanks for sharing this info about keto diet!